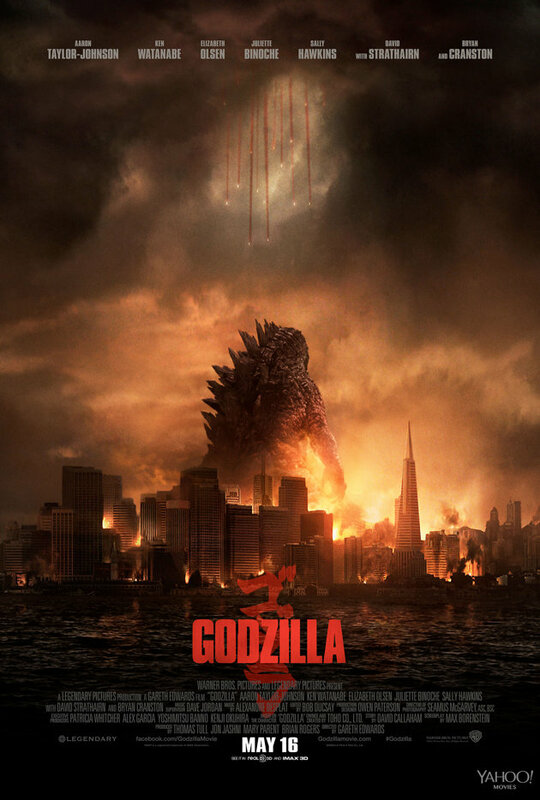 Yahoo Movies Reveals NEW Exclusive GODZILLA Poster! Check out this new poster the year’s Biggest Film. Less han 90 days to go now until the return of The King Of The Monsters. Yahoo has written an entire article to go along with their fantastic reveal – though they’re falling into the old fanboy trope of judging Godzilla’s actual size by what we see in this poster. He will clearly not be this large, though we are in for the most gigantimous of incarnations yet. Less than THREE MONTHS to go, ladies and gents. Do yah feel it yet!? Oh, I feel it. I feel it alll ovah’. From Sci-Fi Japan: Hedorah, Gigan, and Ebirah to Stomp Blu-Ray Players This Summer! The Year of Godzilla continues with more films planned for Blu-Ray release. Real quick here, dudes! I have to point you toward this incredible news just posted by the Kaiju Gurus over at Sci-Fi Japan! Happy Birthday Godzilla, try not to set fire to Tokyo when blowing the candles out on your Birthday Cake.